This week’s featured book a YA fantasy novel based on Hindu mythology. It’s a fun story with interesting characters and looks to be a promising series. Maya doesn’t believe the gods are real, doesn’t waste her time with mere mythology. 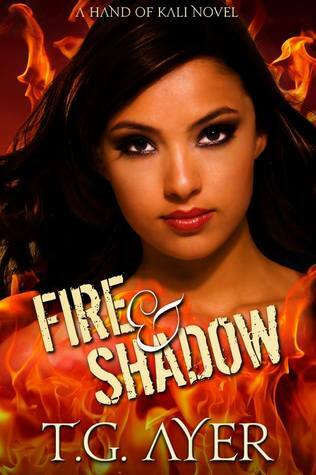 But when gods, demons and hellhounds become the new normal and wielding fire becomes her new skill, she must decide what it is she really believes. Book 2 and 3 in The Hand of Kali Series are due for release in 2014. I have been a writer from the time I was old enough to recognise that reading was a doorway into my imagination. Poetry was my first foray into the art of the written word. Books were my best friends, my escape, my haven. I am essentially a recluse but this part of my personality is impossible to practise given I have two teenage daughters, who are actually my friends, my tea-makers, my confidantes… I am blessed with a husband who has left me for golf. It’s a fair trade as I have left him for writing. We are both passionate supporters of each others loves – it works wonderfully… My heart is currently broken in two. One half resides in South Africa where my old roots still remain, and my heart still longs for the endless beaches and the smell of moist soil after a summer downpour. My love for Ma Afrika will never fade. The other half of me has been transplanted to the Land of the Long White Cloud. The land of the Taniwha, beautiful Maraes, and volcanoes. The land of green, pure beauty that truly inspires. And because I am so torn between these two lands – I shall forever remain cross-eyed.